Have you ever been in that situation where you receive a shiny new present for Christmas, but don’t know how to set it up? Wouldn’t it be nice to just open the box and start playing immediately? Good old Santa delivers, but he doesn’t configure! 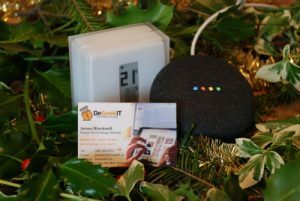 This Christmas DeGeekIT is offering a pre-Christmas setup and configuration service for your electronic presents so that you or your kids can just unwrap, plug in and start enjoying. We can visit you during school hours so that Santa’s secrets aren’t revealed! 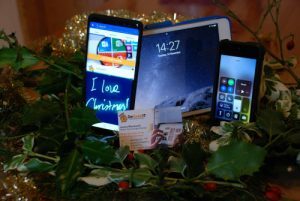 With so many different gadgets out there, it’s impossible to list them all… so give James a call on 0863804373 to ask for help or find out more. We’re based in Ratoath, Co. Meath. DONT WAIT!!! Call or BOOK A VISIT NOW with our simple calendar, because available slots will be limited in the run up to Christmas!